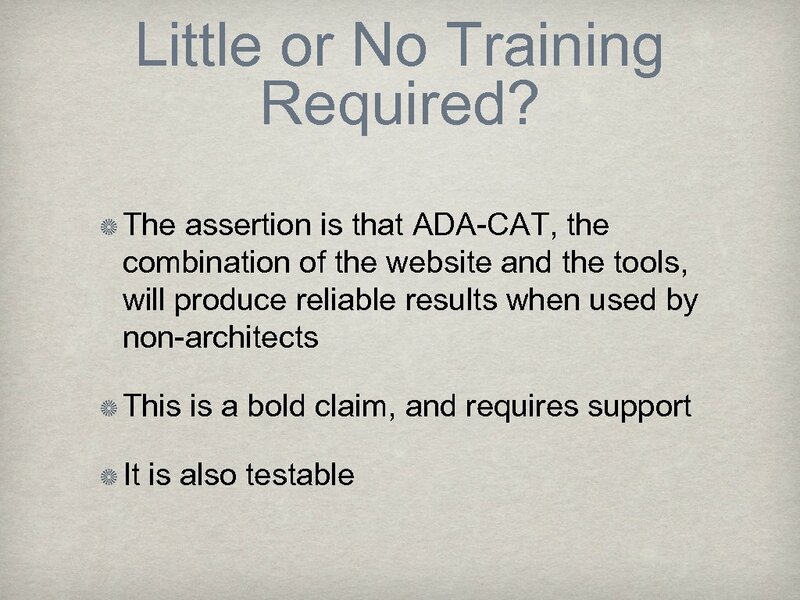 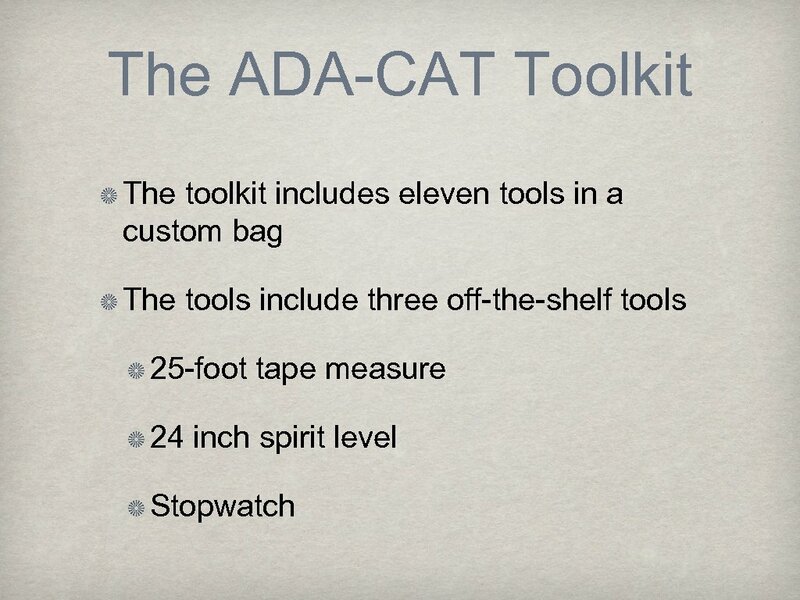 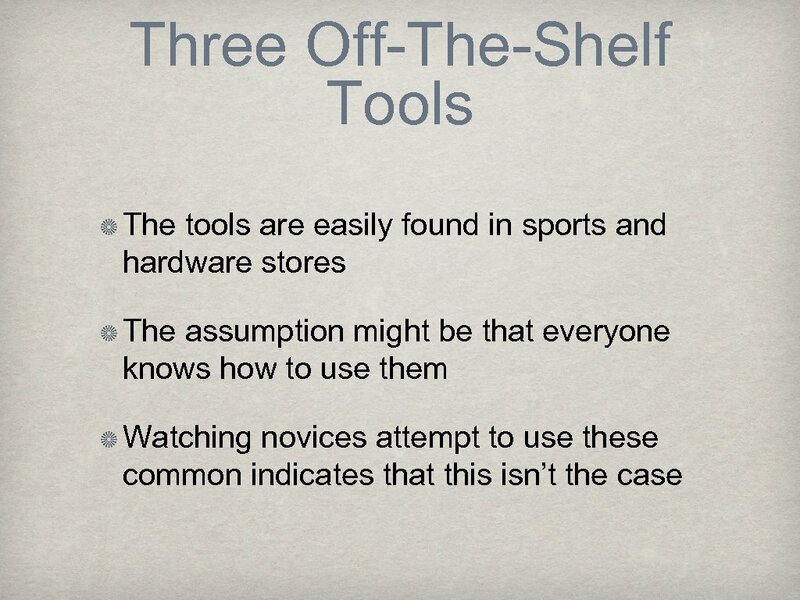 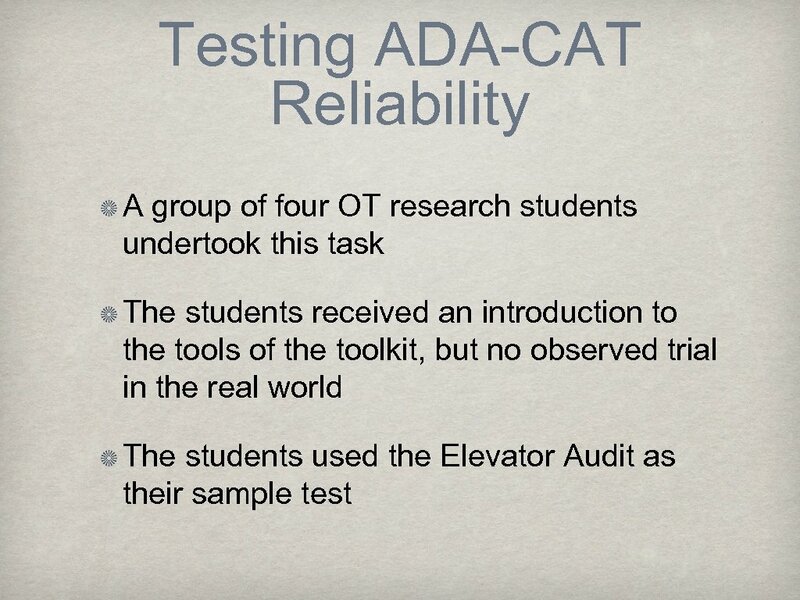 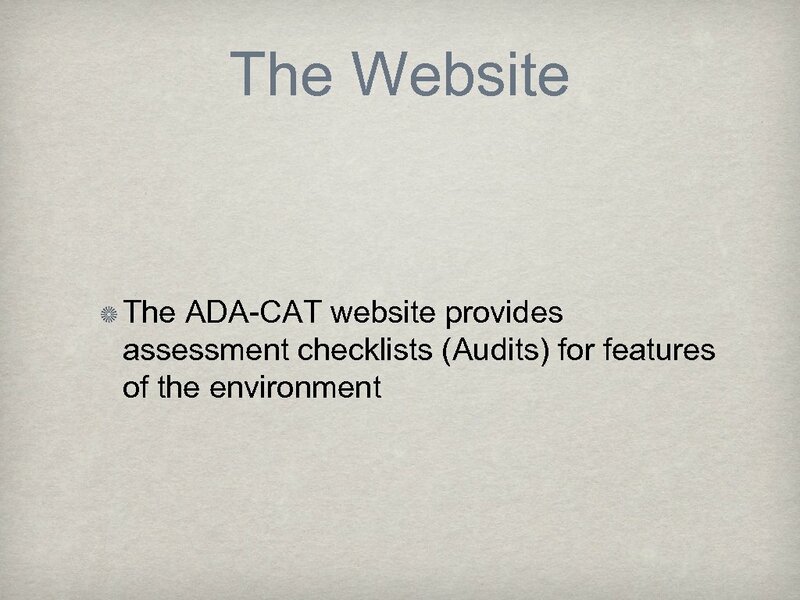 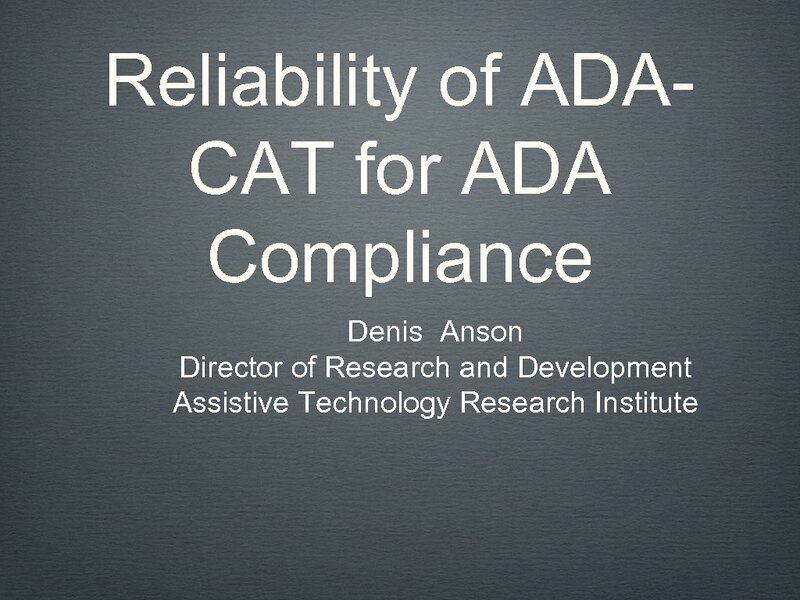 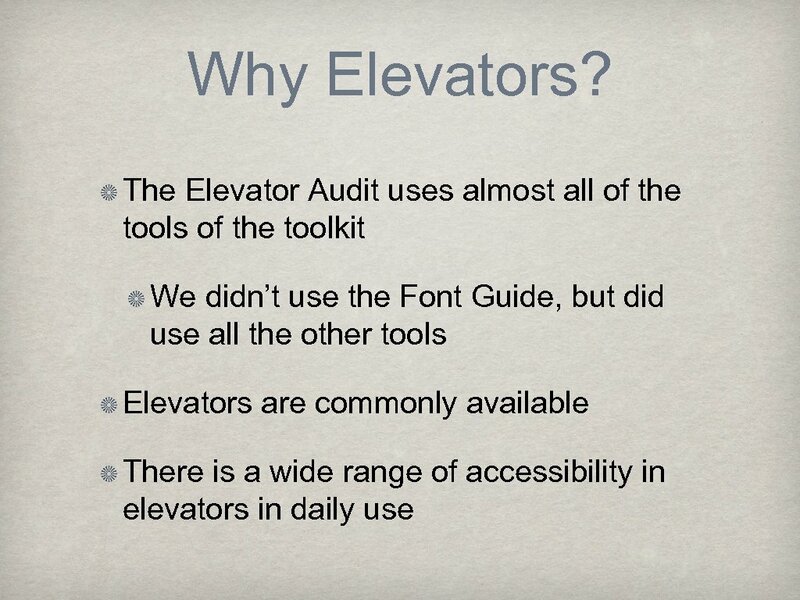 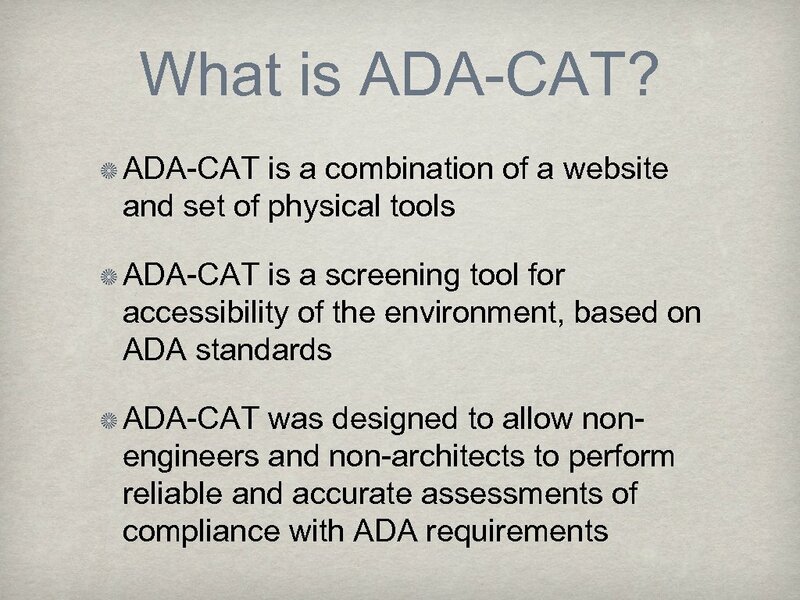 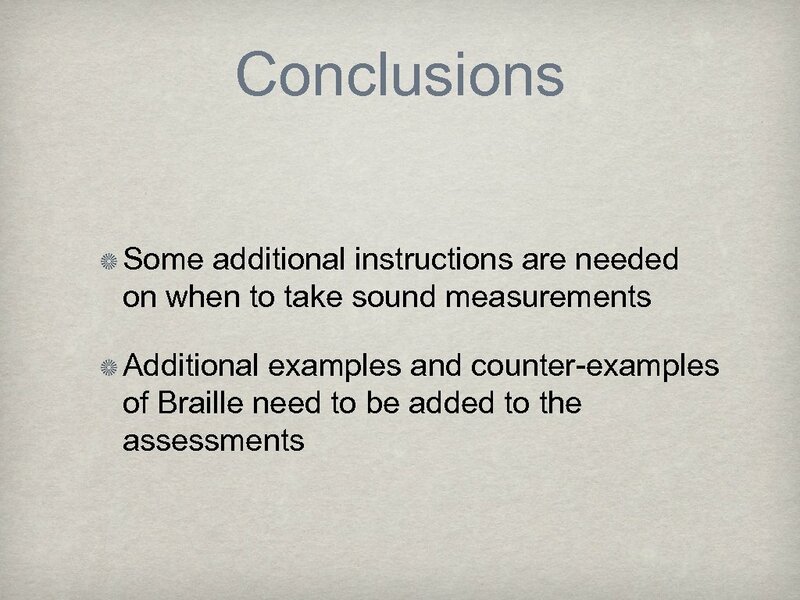 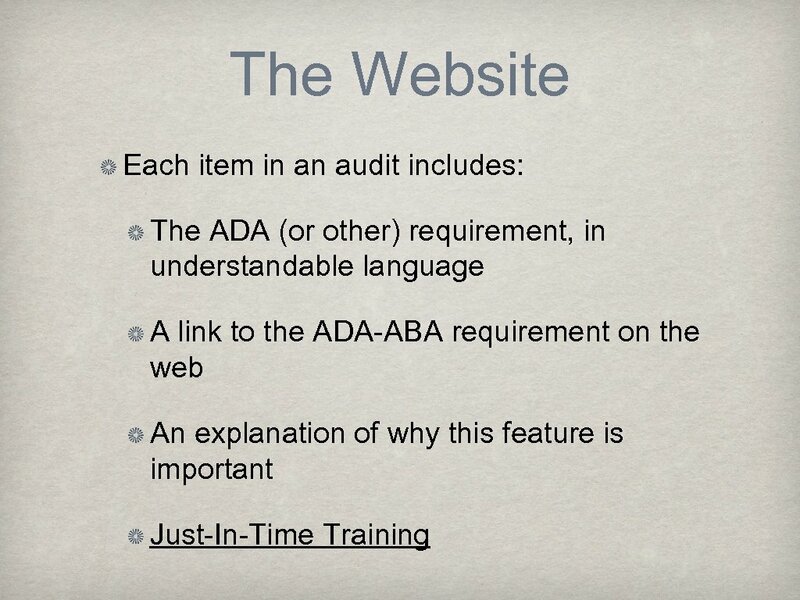 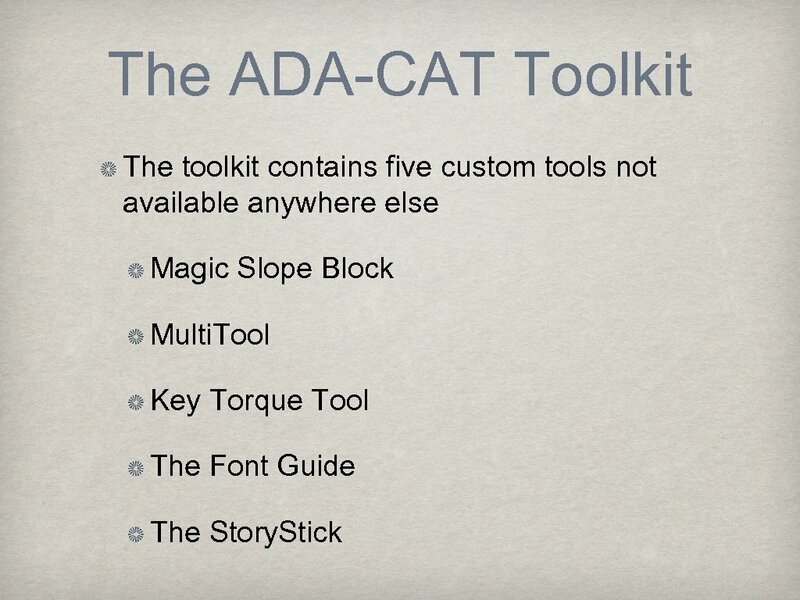 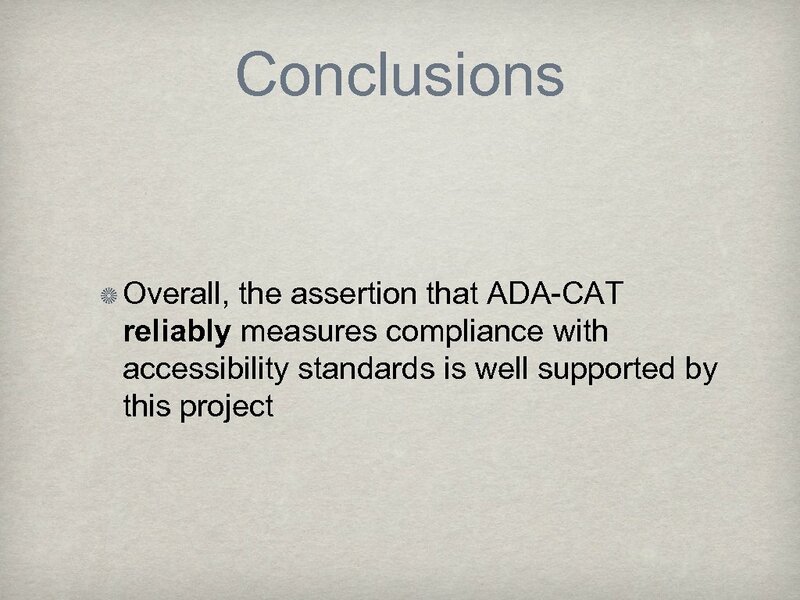 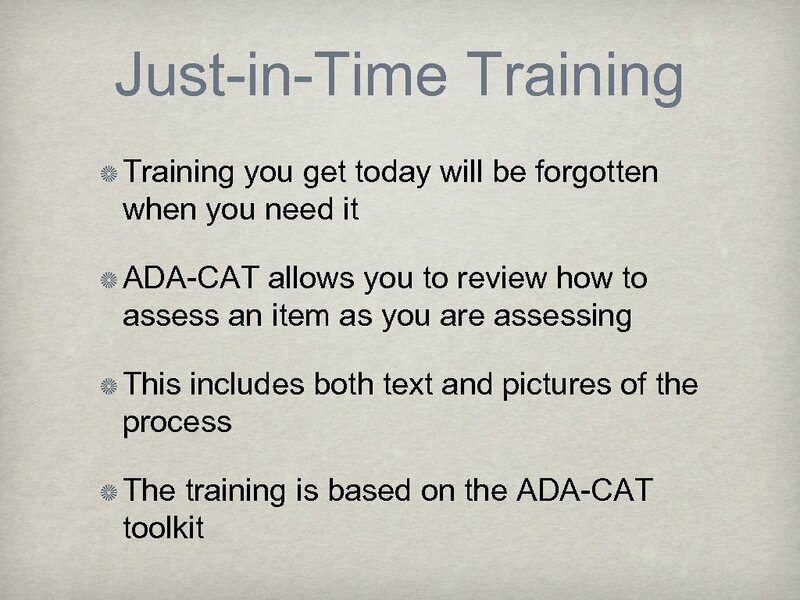 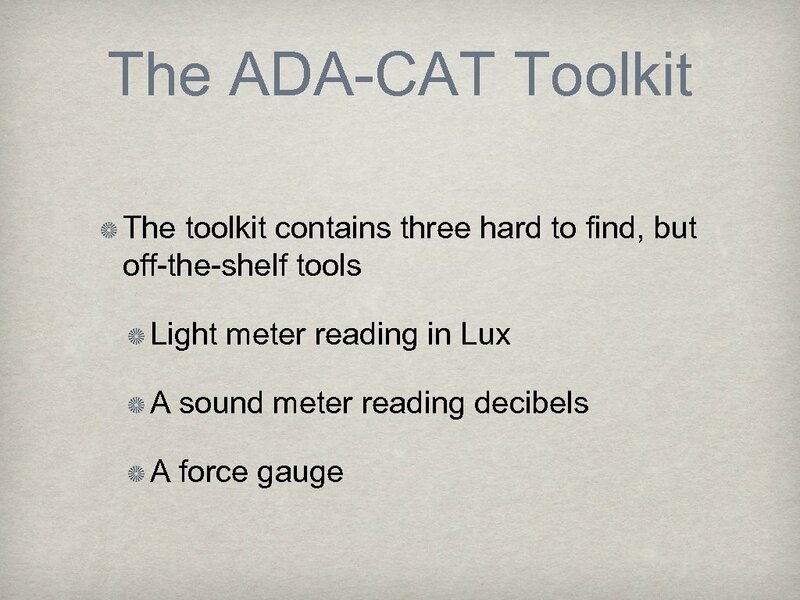 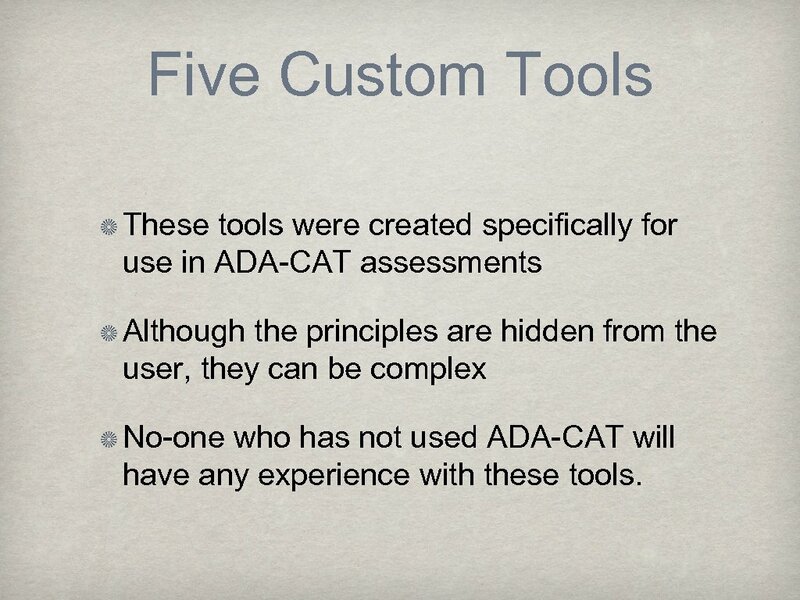 Five Custom Tools These tools were created specifically for use in ADA-CAT assessments Although the principles are hidden from the user, they can be complex No-one who has not used ADA-CAT will have any experience with these tools. 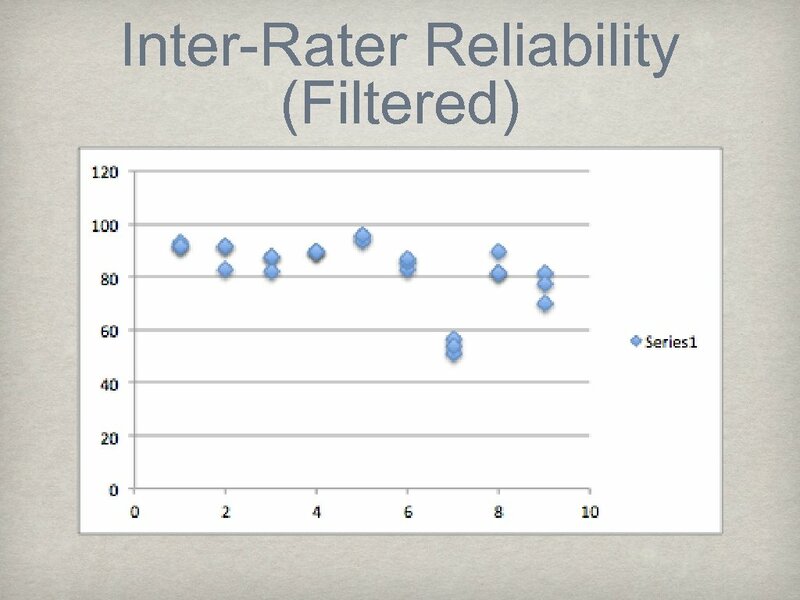 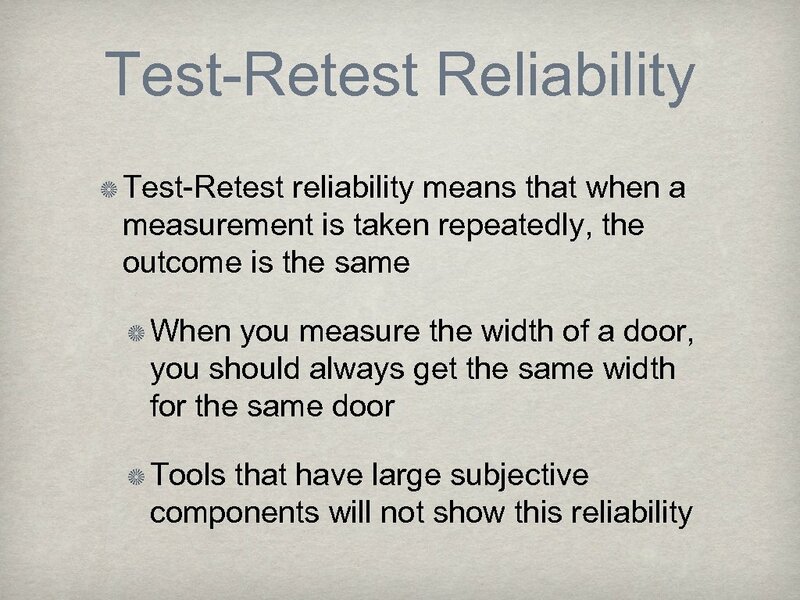 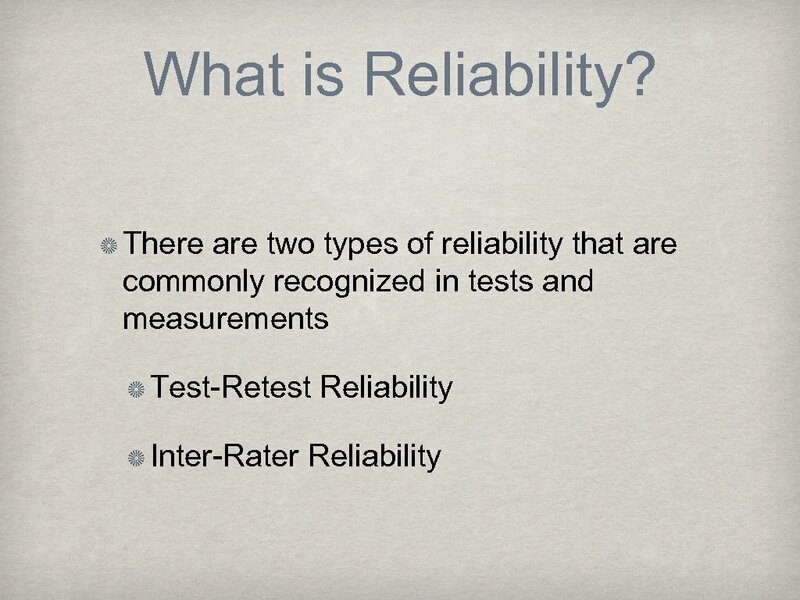 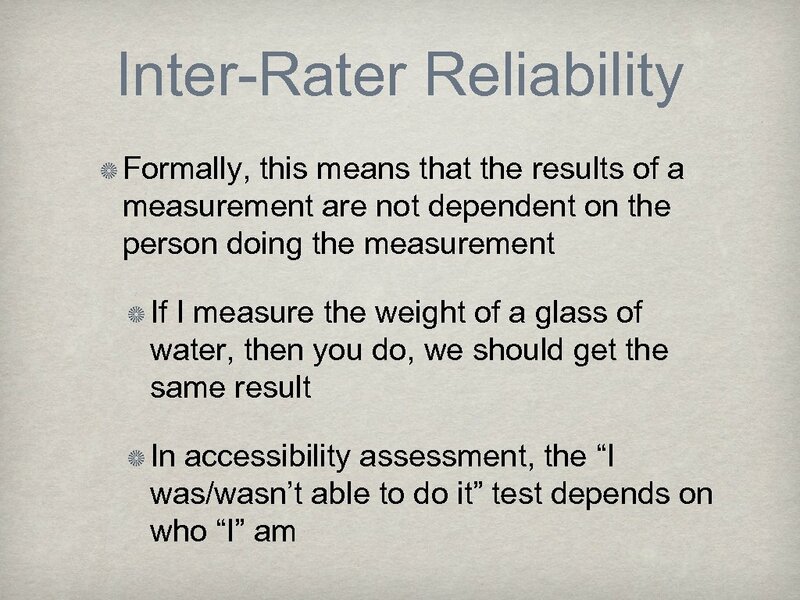 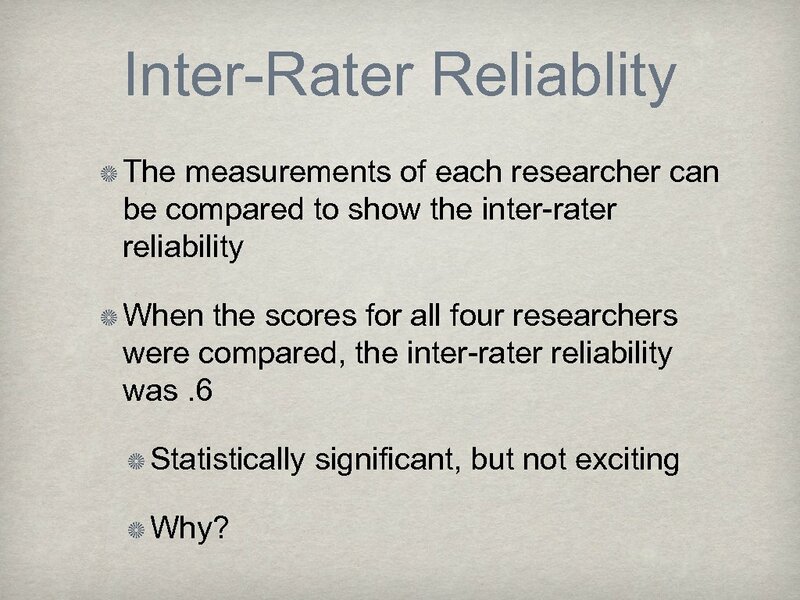 Inter-Rater Reliablity The measurements of each researcher can be compared to show the inter-rater reliability When the scores for all four researchers were compared, the inter-rater reliability was. 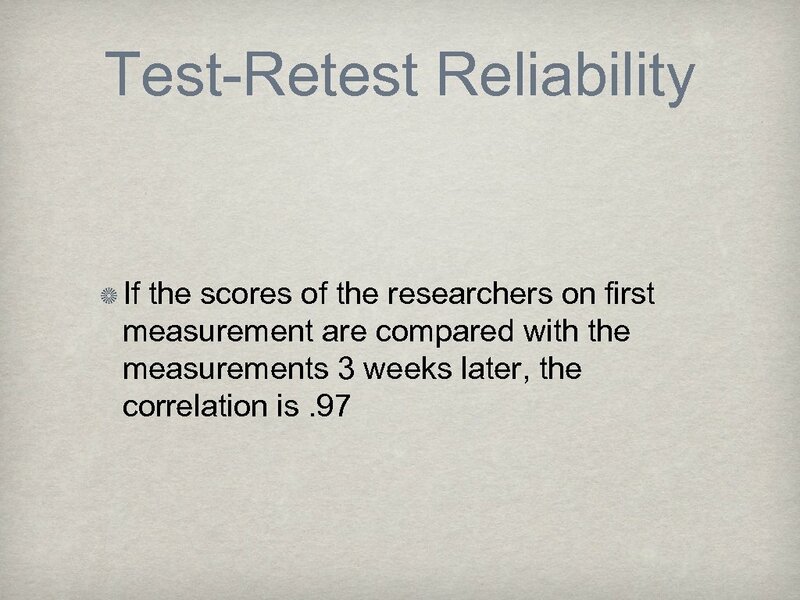 6 Statistically significant, but not exciting Why? 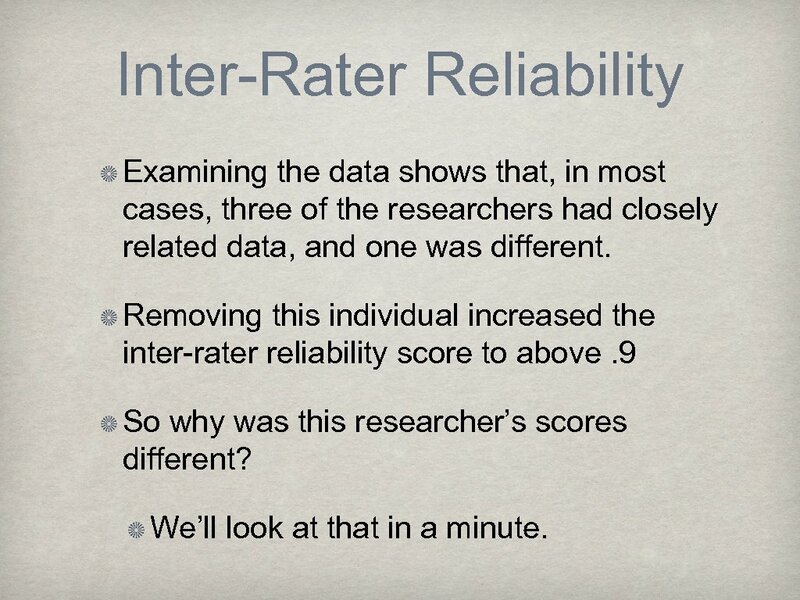 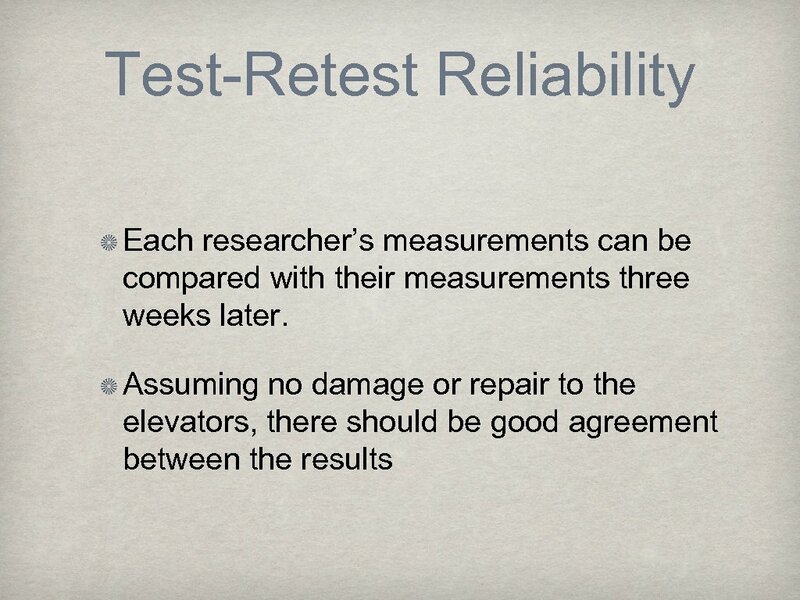 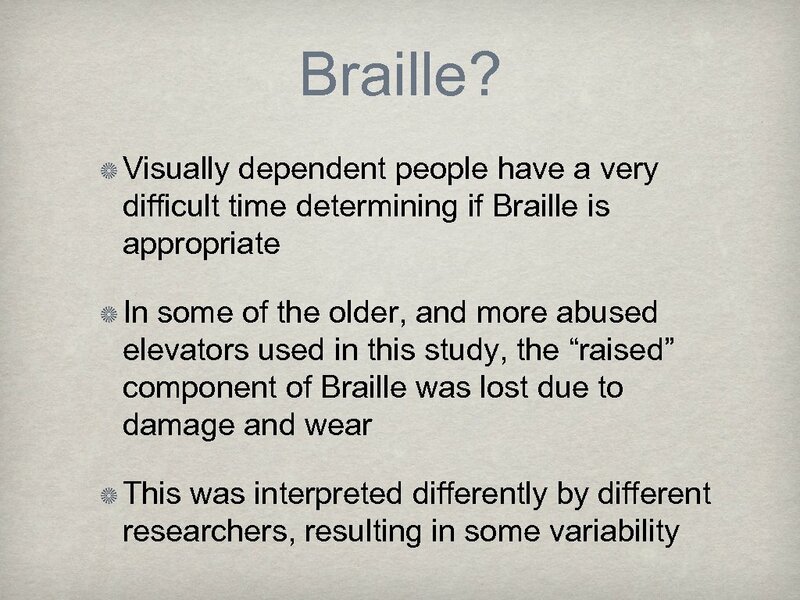 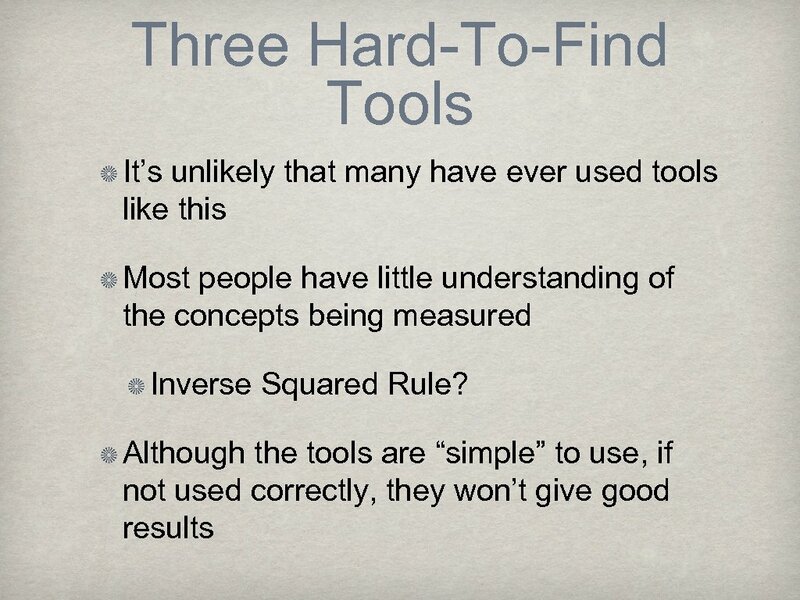 Inter-Rater Reliability Examining the data shows that, in most cases, three of the researchers had closely related data, and one was different. 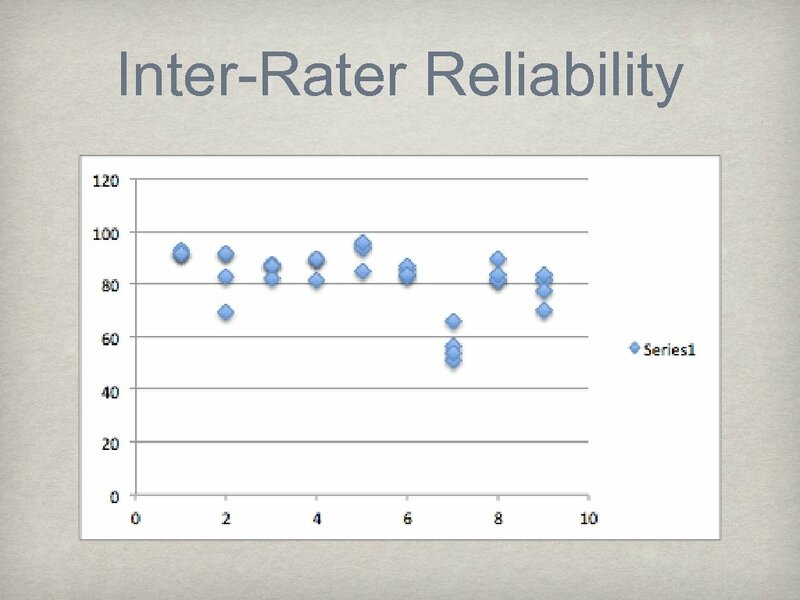 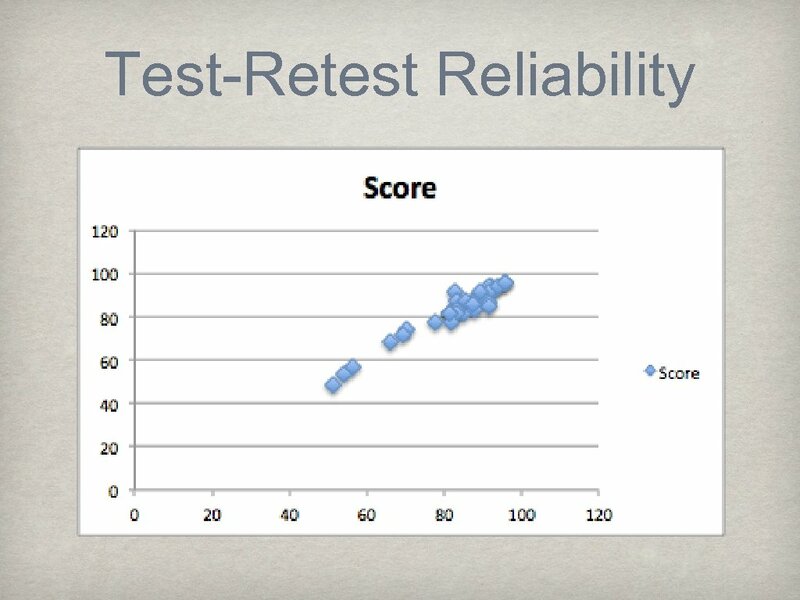 Removing this individual increased the inter-rater reliability score to above. 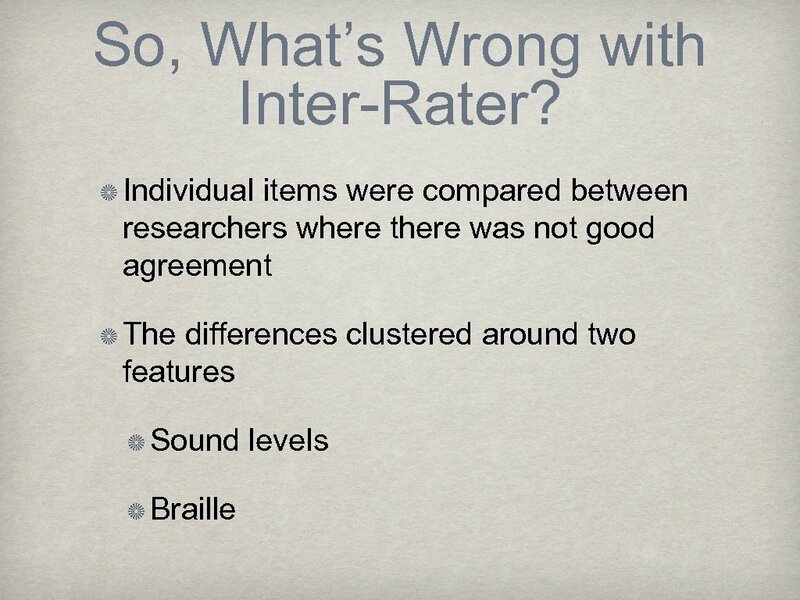 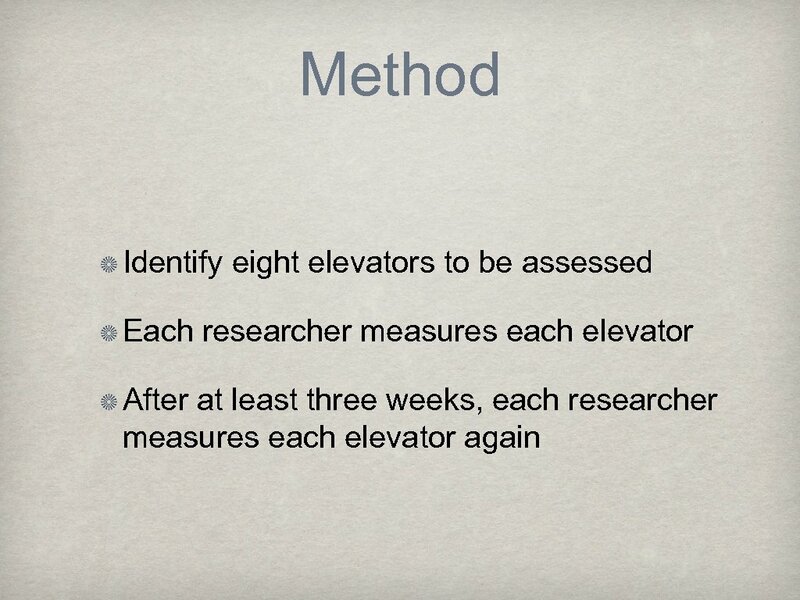 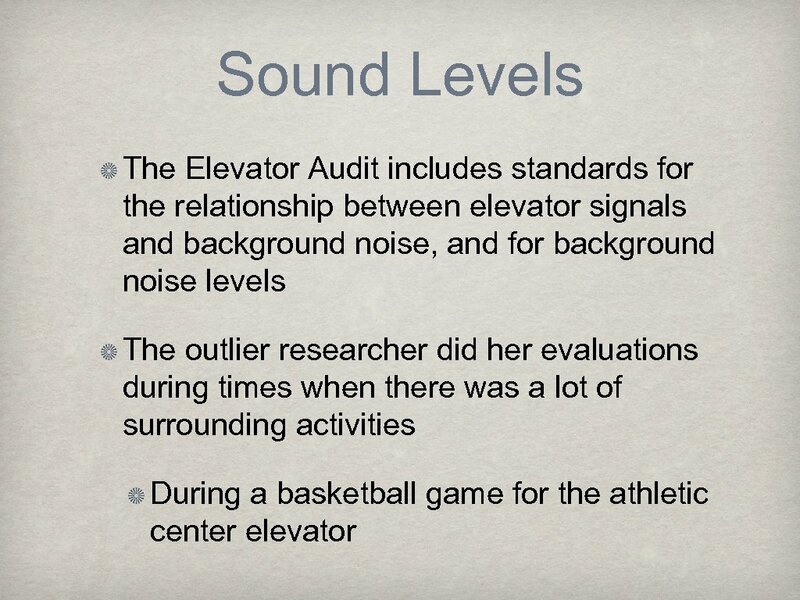 9 So why was this researcher’s scores different? 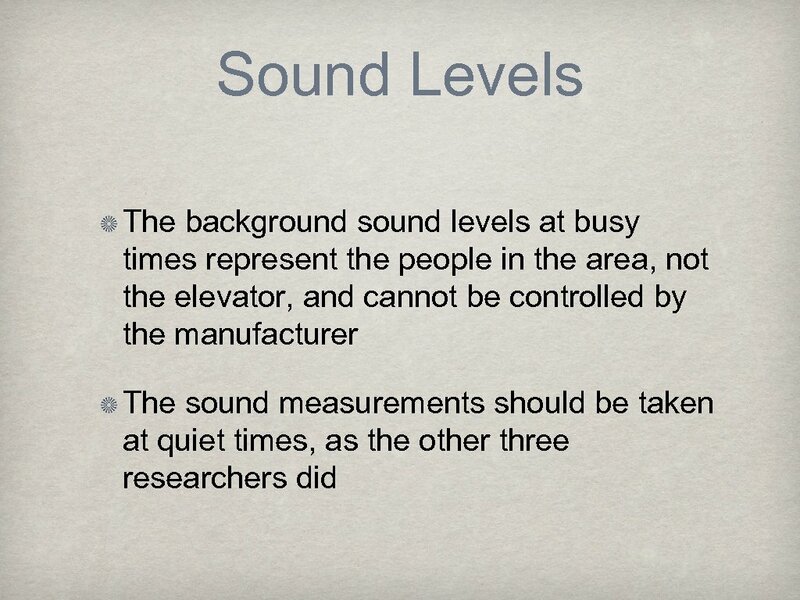 We’ll look at that in a minute.